In 2003, in the face of errors and accidents caused by medical and surgical trainees, the American Council of Graduate Medical Education mandated a reduction in resident work hours to eighty per week. Over the course of two and a half years spent observing residents and staff surgeons trying to implement this new regulation, Katherine C. Kellogg discovered that resistance to it was both strong and successful—in fact, two of the three hospitals she studied failed to make the change. Challenging Operations takes up the apparent paradox of medical professionals resisting reforms designed to help them and their patients. Through vivid anecdotes, interviews, and incisive observation and analysis, Kellogg shows the complex ways that institutional reforms spark resistance when they challenge long-standing beliefs, roles, and systems of authority. 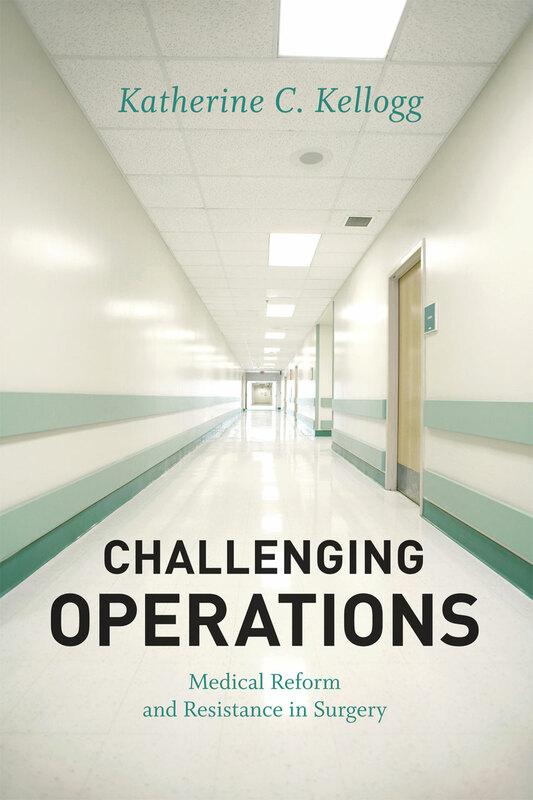 At a time when numerous policies have been enacted to address the nation’s soaring medical costs, uneven access to care, and shortage of primary-care physicians, Challenging Operations sheds new light on the difficulty of implementing reforms and offers concrete recommendations for effectively meeting that challenge.